It is important to figure out what your needs are. 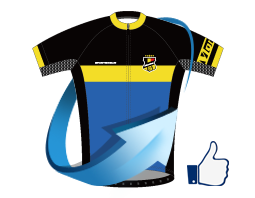 A free event jersey for 600 people does not need to be the same level as that which a team member will train and race in all season. A: The pricing varies according to the size of order and templates you choose. The more you buy, the cheaper each piece is. The more professional template is, the higher each piece is. There are varying levels of quality and corresponding price. Better stuff usually costs more. And buying more brings the individual price down. 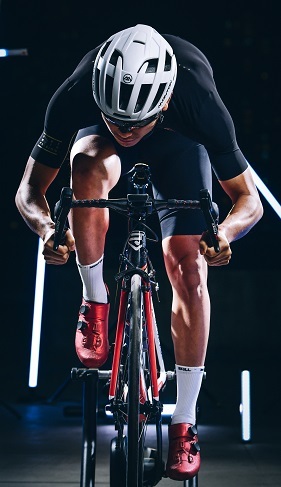 Generally, once you have placed the first order of cycling clothing, reorders require much a small minimums since the artwork is already produced. The difference between average cycling kit and great cycling kit is fabric and chamois padding. Great fabric means great color, compression that will last multiple years, and technology in the process that does not blur. Great chamois pad means comfort, pliability ,breathability and proper placement. Check the feel of the seams. We have a variety of fit kit available for you to try on if you are responsible for the shipping fee. Of course, there would be sample ready before the massive production. Think about how much time you will spend on the saddle. 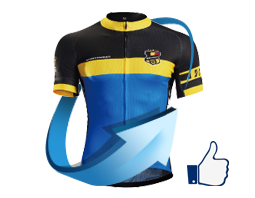 All the chamois we offer are tested by the UCI continental teams we have sponsored. No problem for about 3 hour riding. Our custom cycling jersey is manufactured in Monton Factory. The price we offer is competitive factory price. No third party involved. A: Yes, the sample is free as long as your order meet the MOQ. But you should pay advance deposit which would be deducted in the massive order. Artwork is the most time-consuming part of a custom project. Make sure you have high-resolution art files to submit so you can get through art process efficiently. And you could design based the template we offer. If you could not offer AI file and the patterns are time consuming to get it done, we would charge for the help. Of course, we would quote you before we starts. And you should provide us with the color, authorized right to use the Logo, and patterns in EPS or AI file. After we get all these information, we would make an estimation on the quality and feasibility of the design. On confirmation, we would charge advance deposit which could be distracted in the mass production. If you did not make the massive order here, this sample fee would not be refunded. After the confirmation of the sample, you could make the massive order with design, size and quantity. Pay 50% deposit fee, and we would arrange the massive order for you. Generally it would take around 1.5 weeks (not include public holidays). Size chart is measured with jersey lying flat. You could choose based on the stretch of the fabric and the fit you would like to have (snug fit or relaxed fit). Monton template is for athlete use more prone to snug fit. If you would like relaxed fit, we would recommend one size up. For orders over 250 pieces (one design), you could choose the fabric you would like to have or ship the fabric you have directly to our factory. We offer FREE 3D designs. We do not charge for artwork set-up if you have your designs in AI file or high resolution pictures available. When we quote 2 weeks turnaround times, we are referring to the period between your final approval of the order and the delivery of the order. Setting up the design and getting all your teammates to decide on what they want is not figured into this. With this in mind, the earlier you order, the sooner you will be riding in your new custom cycling clothing. Q: How long does shipping take when production is finished? A: Customers are responsible for the shipping fee. You could choose whatever Express you would like to have. Generally DHL would take 3-5 days. For cycling tops, bottoms, arm sleeves, leg warmers, the MOQ is 15 pieces. Accessories like Caps, Shoe Covers the MOQ is 30 pieces. For cycling socks, the MOQ is 600 pairs.